This stellar cast features a redesigned “Paul’s guitar”, a new CE 24 Semi-hollow, and much more. PRS has rolled out its first wave of guitars for 2019. 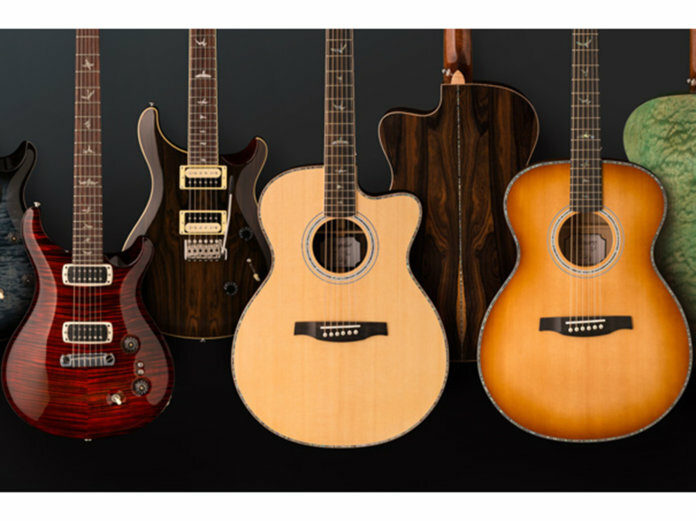 The brand has unveiled several stunning pieces, including a revamped “Paul’s Guitar” (which is, of course, Paul Reed Smith’s signature model), a new CE 24 Semi-hollow, an SE Custom 24 with Ziricote veneer, and updates to its acoustic offerings. Leading the line-up is a revamped Paul Reed Smith signature model. Dubbed “Paul’s Guitar”, this model – like the Modern Eagle before it – has traditionally been designed around Smith’s recent insights into tone. The new iteration not only embodies his ideals as a guitar maker, but also meets his demands for versatility. The guitar boasts Smith’s personal design appointments, including a mahogany body with a maple top, a Honduran rosewood fretboard, and elegant “Brushstroke Birds” inlays. In terms of electronics, the axe is loaded with PRS’s TCI (Tuned Capacitance and Inductance) treble and bass pups. It sports a three-way pickup switch and two mini coil-tap switches. The latter allows players to configure either or both pickups to humbucking or true single-coil mode. Owing to its unique design and bolt-on neck, PRS’s original CE model has become very popular since its debut in 1988. The CE 24 was reintroduced in 2016, and this beloved line is now receiving a special semi-hollow model. The nature of its body adds an airy resonance to the snap and sustain of the maple bolt-on neck. Quite possibly the most beautiful of the lot, this model dresses up the popular SE Custom 24 in both zebrawood and ziricote veneers – perfect for players who desire a more exotic guitar. As for its acoustic collection, PRS has added new tonewood combinations and finishes to its SE Angelus and Tonare Grand lines. The SE A55E and T55E sport quilted maple backs and sides, and will come in two new finishes: a sharp Black Gold Burst and an arresting Abaco Green. Two other acoustics, the SEA60E and T60E, feature ziricote back and sides, a curly maple binding and heel cap, abalone purfling, and rosette details. Besides those, the 55 and 60 acoustic series guitars now have a solid spruce top, PRS’s hybrid classical/X bracing, and the reliable Fishman GT-I pickup system. And finally, for fans of the 40 and 50 series, the brand has hinted at new burst finishes.